Francophone Literatures draws together extracts from novels written in French by writers from Francophone areas outside Europe. These areas include North Africa, Black Africa, the Caribbean and North America. * a glossary of linguistic terms. The above features enable students to contextualize the extracts, identify the key literary and linguistic features and political, social, and cultural themes, to embark on further study, and to achieve their own successful text analysis by means of the models provided. 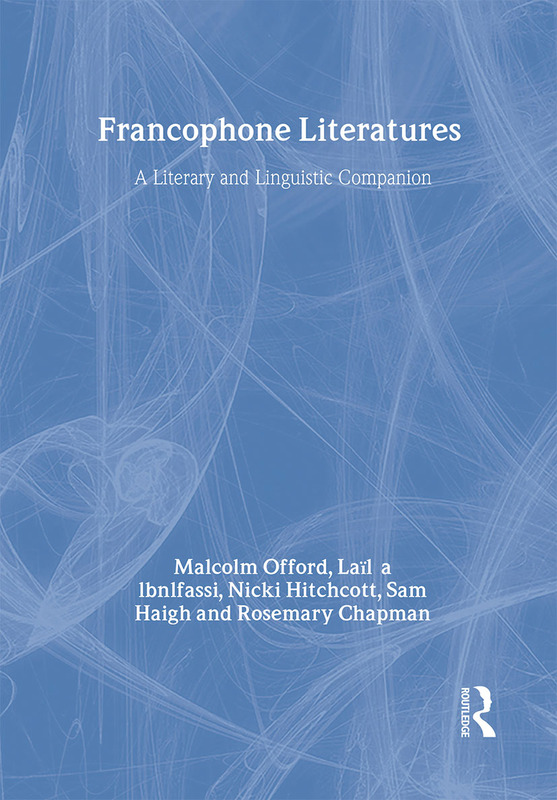 Unique in its analysis both of literary and linguistic techniques, Francophone Literatures is essential reading for students of Francophone studies. Malcolm Offord, Rosemary Chapman and Nicki Hitchcott all teach in the Department of French at the University of Nottingham, Sam Haigh is based at the Department of French at Warwich University and Laila Ibnlfassi at the Department of French at London Guildhall University. Offord has published widely in the field of French language studies.